Fences and walls are often play a significant role in the landscape. Whether you want privacy, screen an ugly view, protect your pets or simply want to delineate your property any fence or wall is subject to local zoning ordinances and in most cases, will require a permit. 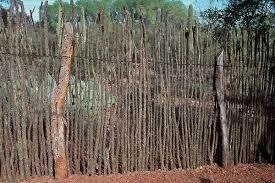 In fact, in the City of Sedona, any fence or wall greater than 30” high requires a permit. Knowing that, let’s look at some of the rules. Fences and walls up to 6’ feet high are allowed along the rear and side property lines. Within the front yard setback, no higher than 4 feet is allowed with some exceptions. If you are on a corner lot, you may have a 6 foot high fence along the street side yard setback but you must check with the City to confirm which side or the corner is considered your front yard. Just because your front door and mailbox are on one side of the corner, does not necessarily mean the City considers that to be your front yard. Corner lots are also subject to a “visibility triangle” for traffic safety purposes. Check with the building department for your particular zoning to see what is allowed before you hire anyone to build a fence or wall. Typical wood fences, whether they are solid, picketed or any combination of vertical or horizontal planks are allowed except that they must be of conventional construction built with commonly used materials. Fences built using old wooden pallets are not allowed. Wood may be left unpainted to weather naturally, but if you intend to paint it, you must follow the rules regarding the Light Reflective Value of the paint. A paint sample will be required upon submittal of your building permit. 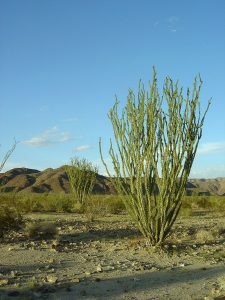 Although the Ocotillo fence pictured here may be the perfect complement to your rustic estate, the City may consider it to be too unconventional so check beforehand. Metal fences follow the same general rules as well as conforming to the color of the paint or finish. Chain link fences are not allowed in front yard setbacks but are allowed in the rear and side yards in certain zoning districts however, they must be vinyl coated with a black, brown or dark green color. Razor wire fencing is not allowed nor unpainted corrugated metal roofing material. Block walls are allowed but must be finished and not left in their raw manufactured state. Walls that face a public right of way, street or public trail longer than 20 feet must be buffered with landscaping. If more than 40 feet long, it must contain some sort of articulation such as columns, pilasters or jogging and offsets to break up the massing as well as contain some shrubbery. If your property corners are not evident by surveyor’s pins, you should consider getting your property surveyed. Just because an existing fence appears to be built along the property lines, don’t count on it as being legal. It may be encroaching one side or the other. It is also important to discuss your plans with your neighbor. Neighbors can sometimes be very territorial and object to your plans even thought you have a legal right to build withing the bounds of your property. That is why its a good idea to build the fence a few inches inside of the property line. That way, the surveyor pins don’t get covered up. Your property typically does not go all the way to the pavement. Most lots with City maintained streets have a portion of land between the pavement and your front property line known as the Right of Way. This is City owned and is not legally part of your lot. You may not build a fence or wall within the Right of Way. 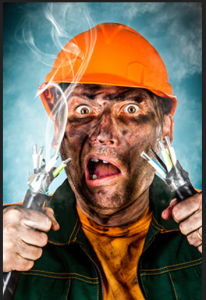 Right of Ways often contain utilities such as electric, gas and cable. Utility lines can also be located in easement that are not within the public Right of Way such as paralleling a side of your property or along the rear. If you are planning on building a fence or wall within such a utility easement, the City will require you to get permission from the various utility companies who may have a right to that easement. 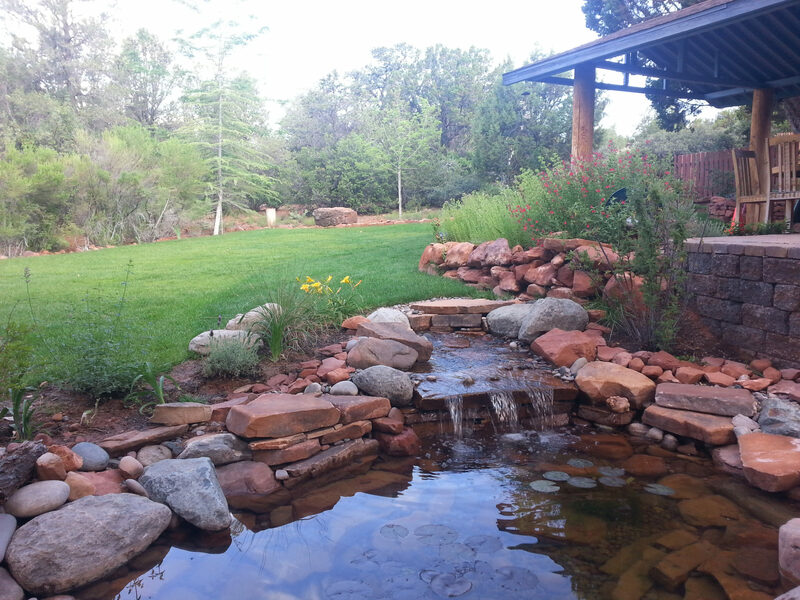 Rainwater harvesting in Sedona is a great way to capture and store rainwater for later use in the garden. In this case, I will show you how we recently installed a 5000 gallon rainwater catchment system in a residential landscape remodel in Sedona. But first let me give you my perspective about rainwater collection and why rain barrels will quickly have you wondering why you didn’t opt for a much larger tank instead after it fills up in about 20 minutes during a good downpour, overflows and you watch all that “wasted” water that you could have captured. Serious rainwater catchment systems are designed based on your needs. There are a lot of calculations involved based on how much water you will need to supply your garden, your regular landscape shrubs and trees and other uses you may have. Most professionals who deal with rainwater system design and books on the subject recommend buying a tank as large as you can feasibly locate on your property. However, many homeowners considering rainwater harvesting in Sedona think it would be nice and a “sustainable thing to do” to help save water will quickly back off a serious system after finding out the overall cost of the equipment. A 5000 gallon tank alone can cost around $2500-$3000. On top of that you have to have a pump and all the plumbing accessories not to mention the labor to install everything. Compared to a serious rainwater catchment system, rain barrels are a popular alternative as they are easy to hook up to a single downspout and as long as the height of your rain barrel is higher than what you want to water, a garden hose pressurized by gravity will work and is affordable. But a rain barrel that only holds 50-100 gallons won’t supply the needs of a decent sized garden or trees that are not on a regular irrigation system. People realize the limitations of rain barrels but cannot justify the expense of spending several thousand dollars on a serious system. So what are the reasons people find capturing rainwater attractive? Here are several possible reasons. Remember, people buy based on emotional reasons and only use logic to back up or to justify their decision. People are bombarded all the time with educational material from the government about the need to save water – use it wisely as it is a precious resource and thus people already do some form of water conservation inside the home and so why not do so in the landscape? They are doing it because it is a lifestyle choice and it fits in with their identity as a conscious consumer who values green living, sustainability and is doing their part to save the planet. Rain barrels are now stylish and they want to make a statement to their neighbors that they are good citizens that save water and recycle everything possible. So it’s not so much (or at all ) about saving money. It’s about saving water and feeling you are part of a society that recognizes the scarcity of water, and is willing to not only conserve the use of water, but to capture and save it for later use during dry periods. People that do opt for an expensive rainwater capture system do so not to save money on their water bill as it will not pay for itself anytime time soon. It’s a lifestyle choice in order for them to be able to look in the mirror and feel good about their decision to save water – regardless of whether its on a grand scale like a 10,000 gallon storage tank or a 60 gallon rain barrel. This thinking is very similar to why somebody will justify spending $100,000 on a Model S Tesla electric car when it may take 40 years to amortize the cost of gasoline that they are “saving”. And again, it’s not the cost of gasoline; it’s the non-reliance on fossil fuels and using free energy of the sun which is akin to the free water from the sky. Rainwater harvesting in Sedona is just as popular as driving a Tesla, only people opt for a Toyota Prius and a rain barrel too boot. Maybe I should give away a free rain barrel with the purchase of every landscape package…hmmm… maybe there is something to that idea. The term water feature typically refers to an assembly of natural materials including boulders, stones and gravel to mimic a form of a stream or waterfall you would see in nature. Fountains are usually more formal style structures that create a jet or stream of water from a decorative piece or nozzle. Natural water features use various types of stone and river rock. Here in Sedona, we have an abundance of what everyone calls “red rock”. It is a type of sedimentary rock formed by layers of ocean bed over millions of years. Sedimentary stone is not unique to Sedona, however the red color is due to the presence of iron oxide. Since the local red boulders are so readily available as a local resource, they are relatively cheap compared to another kind of natural boulder found outside of the Sedona area and is a type of granite, which is heavier. Boulder types are named from the area where they are mined, such as Hasayampa Gold. Boulders that come from Sedona are simply called Sedona Red. Since everyone in Sedona loves the red rocks, using the red rock boulders of Sedona are the most popular choice for water features. Another type of natural stone that is used in Sedona water features is called Moss rock which is typically a type of sedimentary stone that has surface growth of moss and lichens and is usually hand harvested since these boulders are located on the surface of the land. They are also weather eroded from water and wind giving them uniqueness quite different than the red rock. The third type of rock used in Sedona water features is known as river rock and is commonly found in our streams, rivers and washes. It is smooth and rounded and comes is screened to produce sizes ranging from ½” pebbles to large boulders. River rock is typically used to line the underwater portions of the water features, especially along the stream courses and the basins. Since river rock does not stack very well nor does it look natural when stacked, it is always used under the water where it mimics its natural condition. How Are Sedona Water Features Built? Most water features are dug into the ground in which a rubber liner is placed to contain the water. The type of liner most used is called EPDM rubber and typically 45 mil thickness. The liner is placed on top of an underlayment fabric that helps prevent any damage to the liner from rocks, soil and roots, etc. The plumbing components consist of a skimmer box inside of which the pump is placed. This works just like a swimming pool filter and has a weir that draws in the water at the surface level. Inside the skimmer box is also filtration screening materials that can be accessed for periodic maintenance. The pump pushes the water up through a “return line” to the highest point of the water feature where either the simple end of the pipe discharges water or it can be plumbed to a “waterfall box” that has various widths of the lip opening for different effect on the face of the waterfall. The waterfall box can also be the location for a biological filter and contain media to help colonize good bacterial that keep the pond aspects in balance. A water feature that does not contain aquatic plants or fish does not need a biological filter. 1) Natural. The whole point is that the water feature looks like it belongs where you are building it or at least integrating it the best you can in your man made landscape. 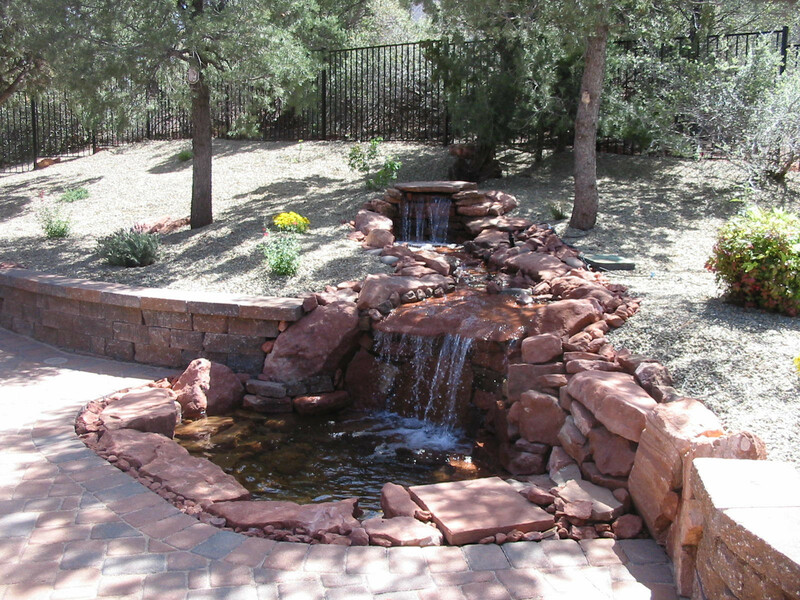 Not everyone has a perfect slope of red rock formations ready to be used for a water feature. 2) Elevation change. Water flows downhill so naturally the end of the pump’s return line must be higher than the pump at the low point. The more the elevation difference, the more cascading drops and sheer drops you can create with the arrangement of stone. 3) Avoid artificial mounds. On a flat property, it is tempting to bring in a pile of dirt to create a mound so you can artificially create the necessary elevation drop. This is the number one mistake made by amateurs and the reason such water features tend to not look natural. 4) Use different size boulders. Depending on your access to heavy equipment to lift large boulders, varying the size of boulders is important rather than using uniform size stones. 5) Create pockets for plant material. Plant material close to the edge of the water feature in strategic locations using appropriate plants will enhance the natural appearance. Envision the kinds of shrubs you are going to place as you are creating the pockets. For water features that contain no plants or fish, cleaning the filter screen in the skimmer box is required. Also make sure the automatic water leveler fill valve is operating properly and is not stuck which could lead to over flowing the basin. A well designed water feature will have a pipe situated a bit higher than the desired water level in case the basin is over topped due to a stuck valve or inordinate amount of rainwater. If algae becomes a problem, there are products sold that will control the algae and clarify the water. Do not use chlorine or bleach as this can damage the pump components. About half of winter nights in Sedona experience freezing temperatures. Two or three of these, on average, drop down into the range of 11 to 20 °F (-12 to -8 °C). Lows in the teens can occur from November to March, but are most likely in December. Is it necessary to take certain measures to protect the pump for a water feature in Sedona? Most pump warranties I have seen recommend removing the pump during freezing temperatures and storing the pump in a bucket of water indoors. There is also the argument that leaving a pump running actually reduces the likelihood of the water freezing because flowing water does not allow water pressure to rise when flowing through pipes. Typically, the surface of the pond may freeze and ice develops on areas where the water flows, but inside the skimmer where the pump is at is not at risk as much as the surface areas. It is recommended to shut off the water supply line that controls your auto fill valve during freezing temperatures. Keep an eye of the water level and fill with a hose if there is some loss due to evaporation.